To provide adequate protection for your dog while you’re outdoor, a must have item is a quality dog harness. Harnesses offer more body coverage than the standard leash and collar. It reduces the force acting on your dog’s neck which can cause serious injuries. 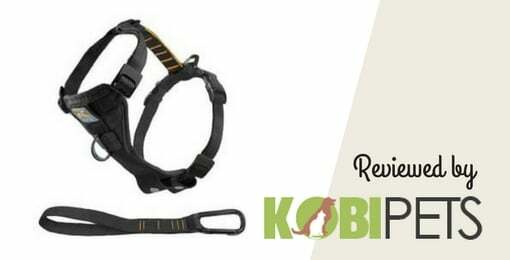 We have made a selection of the best dog harnesses and our reviews and buying guide will help you choose the right one for your dog. If you are looking for a product that is slightly more comfortable than Kurgo Tru-Fit, this product is the right answer. 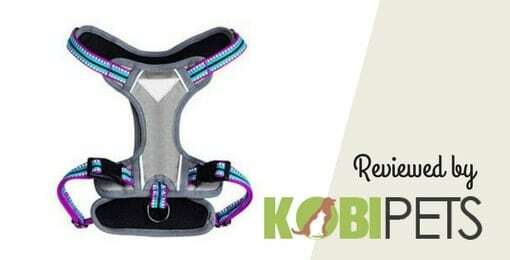 This harness will be very comfortable for your dog and his daily walks. With a customizable fit, you can adjust the size to fit perfectly on your canine. Be sure to purchase the right size that will fit your dog girth. You can also choose different colors for your pup: Alpenglow Pink, Blue Dusk, Campfire Orange, Meadow Green, Orange Poppy, Pacific Blue, Tillandsia Purple, Twilight Gray, Twilight Gray (2017), and Wild Berry (2017). It will reduce stress on his chest with the front rage features and provide comfort when he is wearing it. As for the safety features, it includes two leash attachment points. One is an aluminum V – ring that goes on your pup back. The other one is the reinforced webbing on his chest to provide you better control. It also includes reflective trim that will allow you to keep an eye on your furry friend at night. It comes with the ID pocket will allow you to store your dog tag easily. Some customers have complained that it’s sewn seams are easy to bust, especially if your dog is a puller. If you are looking for a harness that is comfortable for an everyday walking, then this is the product for you. Also we belive that this is the best no pull dog harness. Unlike Chai’s Choice, this product will accommodate all dogs of all sizes. It is designed to prevent choking and pulling, so your dog won’t harm himself. Also, you will have a better control of him. This product will lower stress on the sternum and trachea, and provide your pup more comfort. It includes wiener lock plastic release buckles that are very easy to take off and on again. With its five sizes adjustment points you can perfectly adapt it on your dog. The dog halter on his chest will prevent your pup from pulling. If you notice some defects on this product, don’t worry; it comes with a lifetime warranty. We wouldn’t recommend to use this product for a car ride because it is not crash tested. If your dog is very energetic and active and pulls you off while walking, then you should definitely purchase this product. This front clip dog harness is eliminating pressure from his neck because it is also distributed around his body. 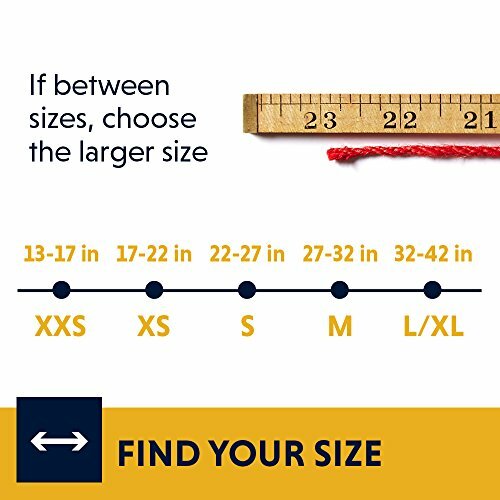 Extra Small: 13 – 17 in. Small: 17 – 22 in. Medium: 22 – 27 in. Large: 27 – 32 in. Extra Large: 32 – 42 in. It also comes in different colors: black, blue, fuchsia, green and orange. It is made from a durable material that is scratch-resistant. With its ergonomic design, you will have no problem with putting a harness on your furry friend and taking it off. As safety features it includes strong two leash attach points and nylon fabric with 3M reflective material for better visibility at the night. It is reliable for car rides, because of its sturdy buckle seat belt. It will prevent your dog from choking, moving around the car or jumping out of it. With this strong restraint, your pooch will be safe. 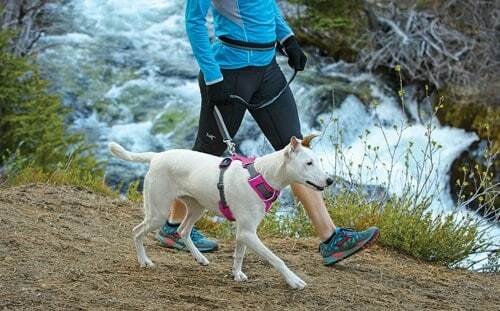 This padded dog harness accommodates even handicapped and injured dogs. Be careful though. This material is so strong, that can harm your dog skin, especially if he likes to pull on the leash. 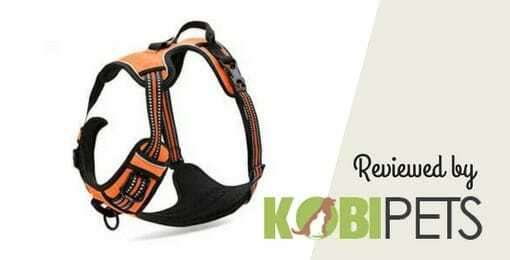 If you are looking for a comfortable dog body harness with a handle and lightweight mesh to accommodate your dog, then you will be happy with this product. It will provide you easy and comfortable walk. It is made from oxford materials and polyester for a better comfort. Buckles are produced from eco–friendly plastic. It also includes reflective triangle and straps so that you can keep an eye on your pet in the dark. The metal D–ring on the chest provides extra durability. 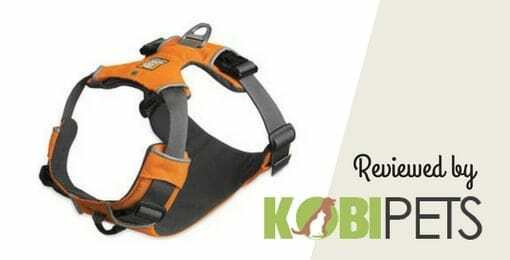 It has adjustable neck and chest straps to accommodate your pup correctly. Because this product has two vests, it will allow you more control than other harnesses, and it will also distribute weight more evenly. This harness does not stretch itself. 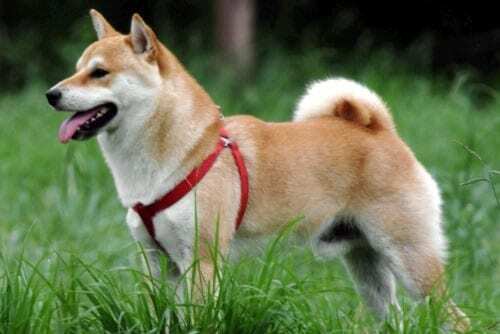 It can be a bit bulky for smaller dog breeds and especially so for dog breeds with short legs. Taking your dog for a long walk is a great bonding experience. However, if you have a feisty companion, a vigorous and reliable dog leash harness is something you should think about getting. This particular model is adjustable, affordable, and most importantly – comfortable. One of the first things people notice on this product is its heavy-duty design. The stitching is done professionally, hook and rings are made of stainless steel, and the materials used in production are quite reliable. In simpler words, it’s a perfect solution for controlling playful and restless dogs. 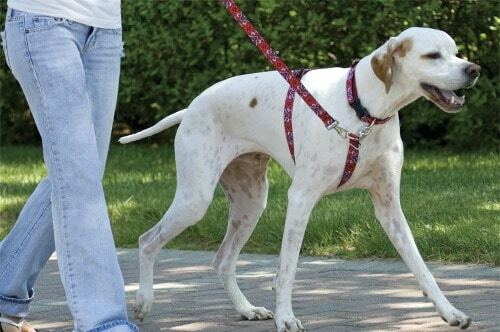 One of the most important aspects of URPOWER Dog Leash Harness is – comfort. People usually don’t think much about how convenient a harness is for their pet, and that often turns out to be a huge mistake. In fact, the first two things you should think of when buying these things are comfort and convenience. As far as this particular model goes, comfort is something you don’t have to think about, a vast majority of pets love it. Durability is yet another advantage of this product. As you may know, dogs can be quite restless, and many low-quality belts fall apart or break on weak points within a few days. However, because this model features reinforced stitches, there’s no danger of breaking at any point. The materials used in manufacture are sturdy yet soft enough not to irritate your pet’s skin. The only thing you might not like is the fact that buckles are made of plastic. It can be an issue if you don’t adjust them properly because the plastic can break. Being able to have a four-legged best friend can be an amazing experience. However, as we all know, they can be feisty creatures sometimes, especially if you don’t give them enough love and attention. As smart as they are, dogs require special treatment and a lot of devotion and sacrifice. If you don’t have as much time to spare, your pet can become disobedient, unfriendly, and sometimes even aggressive. Luckily, there are many methods you can use to avoid such unpleasant experiences. One of those methods is finding a proper dog harness. Because there are plenty of different types, you can find the perfectly-suiting one for your dog’s temperament. For example, if your pet is prone to a lot of sudden pulling and twitching, a no-pull model would be your safest bet. On the other hand, if you’re not sure about which type is the appropriate one for your four-legged friend, we have described a few of the most popular ones so that you can get a general idea of what to look for. 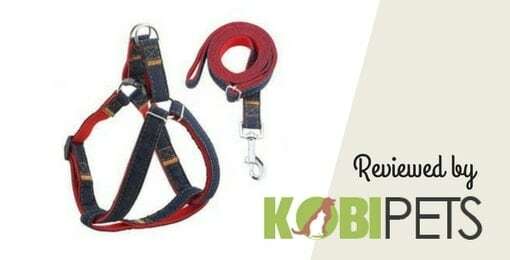 If you’re unsure about how to use these belts properly, feel free to check out our article: How to put a harness on a dog; also, below you’ll find a lot of useful and helpful advice on how to find the best type of harness for your dog without too much hassle. As we already said, dogs are special creatures, and every single one of them has a unique temper. Many people buy the first harness they stumble upon without even thinking about comfort, usefulness, and overall efficiency of it. Buying a belt that’s not suitable for your pet is the worst thing you can do. Therefore, take a minute and read the descriptions of the types so that you can pinpoint the exact one your puppy needs. The back clip harness is probably the most wide-spread due to its comfort and ease of use. Many dogs get used to it quite quickly without too much training. 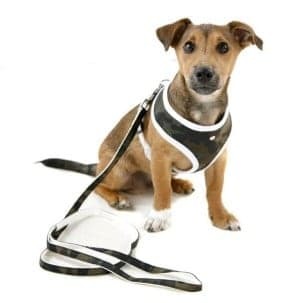 This type is the best small dog harness because collars can damage their sensitive throats due to the lack of fat or hair. These models are ideal for calm dogs that aren’t prone to twitching and disobeying your orders. That doesn’t mean you cannot use it with big breeds, but you have to be ready for some adaptation, especially when it comes to the canine’s behavior. This type is one of the strongest and safest adjustable harnesses there are. The step-in method is the most appreciated one by people who are canine lovers. The reason is pretty simple – you don’t have to train your four-legged companion or make any prior preparations with it, all that you have to do is put the strap underneath them and wrap it around their body. The best thing about comfort wrap is the fact that it doesn’t cause any kind of stress on your furry friend. The leash clip is located on the upper part of the belt meaning there is no pressure on your pet’s sensitive body parts such as stomach or neck. As the name suggests, the leash clip is located on the front side of the belt. This type is great for canines that tend to pull on the leash often. 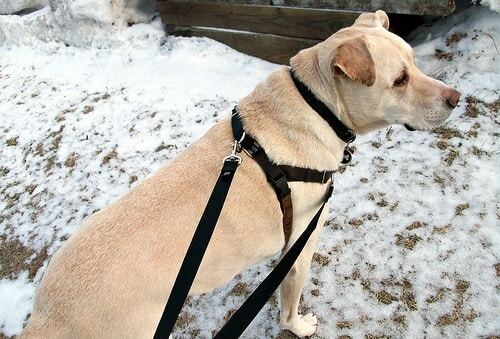 Due to the peculiar design of this strap, the dog isn’t able to pull the leash as much. This particular type is perfect for disobedient pets. Thanks to the chest clip, you can control and redirect your dog if it starts doing its own things. The only issue you might have is – tangling. Due to the location of the leash clip, many pets have tangling issues until they get used to it. It’s not a crucial downside, but it’s worth mentioning. 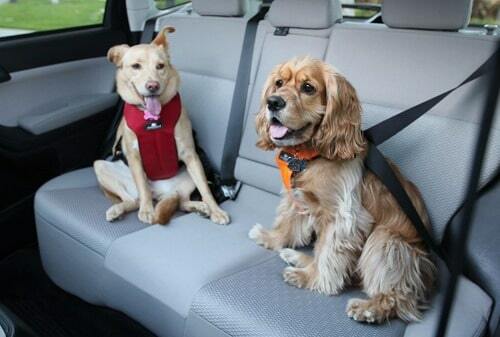 These are nothing else but seatbelts for dogs. As we all know, safety is of utmost importance, especially if you have a playful pet. Many things can go wrong while you’re driving meaning you need a lot of focus and concentration. However, if you have a feisty dog that’s licking your cheeks or hands while you’re driving, you’re putting both you and other traffic participants in danger. On the other hand, if you have an auto harness, driving with your four-legged buddy by your side is a whole another experience. Therefore, you should always have at least one of these in the back of your car so that you can be as safe as possible. These harnesses are designed to discourage your dog from pulling the leash. The attachment clip is located in the center of your pet’s chest, and it’s designed to tighten up if your dog tries to pull the leash. Consequently, many of them get the point pretty quickly and stop pulling the leash. Making this type the best walking harness for dogs and your walks much more enjoyable and fun. One of the issues you might have is persuading your pet to tolerate the harness after the first use because most of them aren’t really happy about it. Not all canines are agile and full of energy. If you own an older one that’s having problems with its legs and movement in general, the mobility strap might be the thing you need. 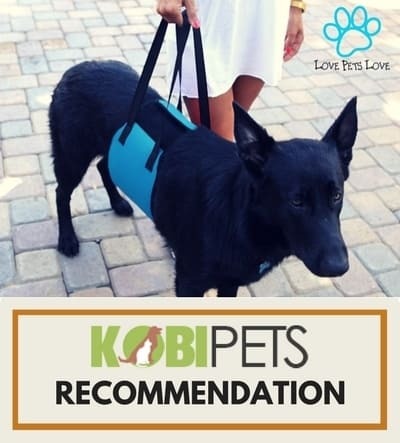 It’s designed for senior pets, and it has an integrated lifting mechanism which allows you to carry your four-legged friend around without much hassle. However, it’s not a thing you’re going to use on a daily basis, especially if you have a pet with spine injuries and limited mobility. What to Look for in Body Harness for Dogs? Although buying a harness for your pet seems pretty easy and simple, there are some things you need to pay attention to before you opt for a particular model. As you may know, not all dogs are the same. Therefore, you have to find a model that suits your four-legged friend perfectly. The fabric used in the design of a particular belt is very important. Apart from being unsure of your pet’s reaction to it, you also have to think about durability and quality. There is no use in investing in a model that’s going to fall apart after a couple of uses. People who have playful dogs tend to have a lot of experience with this particular nuisance. Thicker materials are usually the way to go, but there are some disadvantages. While larger dogs have no issues with adapting to thick equipment, smaller ones do. Therefore, if you own a dachshund, it’s probably not a good idea to invest in a thick harness. It limits their mobility and comfort levels by a lot. If you ever stumble upon a glued harness, don’t buy it. Always look for stitches. Some models have stitches that are implemented only because of the aesthetics – skip those as well. Many low-quality straps have rough and poorly processed edges. While it may not seem important to you, rest assured that your dog thinks differently. Smaller breeds can even develop problems with rashes and skin irritation due to rough edges. Before you buy a particular model, take a moment and inspect the integrity. If it feels rough and pointy – skip it. On the other hand, if the edges and stitched corners are smooth, it’s a good indication of high quality. If you’re buying online, pay attention to the user’s experience and see if someone mentions poorly processed corners. One of the most important factors is the size of the harness. If you mess this step up, there’s no turning back. If you buy a model that’s too tight, you’re putting your four-legged friend in a deadly situation. Canines have sensitive areas on their body which shouldn’t be exposed to too much pressure. As you can assume, getting a small strap will cause a tremendous amount of pressure and potentially be fatal for your pet. On the other hand, if you purchase a bigger size, you’ll lose control over your pet. Also, the friction between the harness and the dog’s body can cause severe skin irritation. Therefore, pay special attention to the size because you don’t want to expose your best friend to health risks and jeopardize their life. You have to make sure to center the ring on which you attach the leash in a proper manner. If you position it too close to the neck, it’s not going to be a pleasant feeling for your pet. On the other hand, if you put it too close to their lower back, you’ll lose control over your furry buddy. When purchasing the dog harnesses you need to consider the type of a pup you own. Take his measures correctly, so you know what product will fit him perfectly. 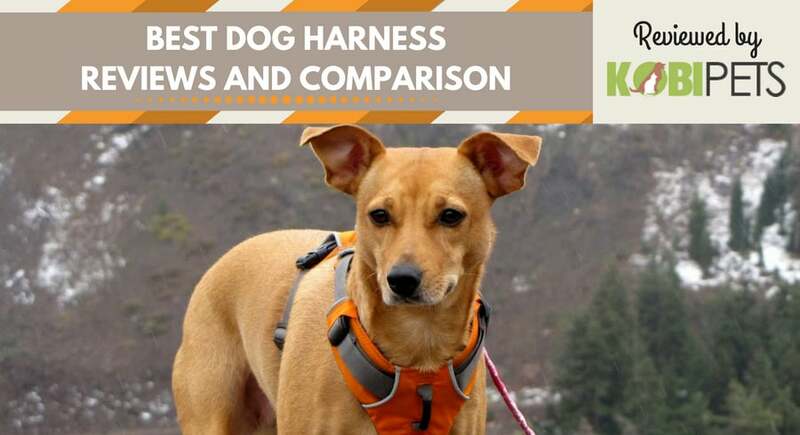 With our reviews and comparisons, you can easily choose the right harness for him. If you are on the road frequently, make sure to choose those more compatible for a car ride. With these products, you no longer have to worry about your canine pulling you off. You will have a better control of him, and you will be able to change his unwanted behavior quickly. Just make sure to choose the best harness for dog you love. If you are searching for more products for your dog, check out our list of best dog doors.